From newborns to teenagers, it’s important to have regular check-ups to ensure your child is progressing normally. At Woodburn Pediatric Clinic, we serve a diverse community of patients. During a well-child visit, you can expect your child to receive a thorough evaluation of growth, development, and physical well-being. A comprehensive physical examination and appropriate immunizations and laboratory studies are a part of well-child care. Relevant guidance for a healthy lifestyle is a regular part of comprehensive care. For your child to be completely immunized against a disease, they must get all the recommended vaccines. We strive to foster close relationships with our patients starting from an early age so they will always feel welcomed and comfortable throughout their visits. Schedule a well-child visit with us today! 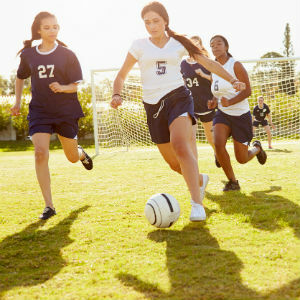 We also provide the sports physicals that are usually required before your child plays a sport or goes to a camp. This exam helps determine whether it’s safe to participate in a certain sport and should be scheduled at least two weeks before starting a sport or season. These appointments typically occur between the ages of 13-17 years old and are primarily confidential in nature. Generally, it helps if the child has an existing relationship with their pediatrician, but we are happy to schedule first time visits as well. During this visit, the patient will talk with their pediatrician about topics that influence their health. This includes nutrition, safety, exercise, social relationships, and tobacco, alcohol, and drug use. 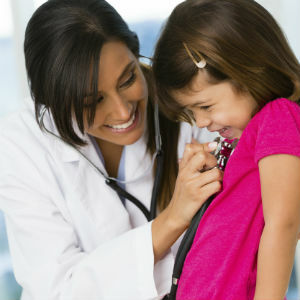 Once the exam is complete, the pediatrician will sign off and stamp any necessary forms and paperwork. Our clinic is in Woodburn, Oregon, which also serves the surrounding Salem and Portland communities. Contact us today to learn more about how we can provide quality care for your child.